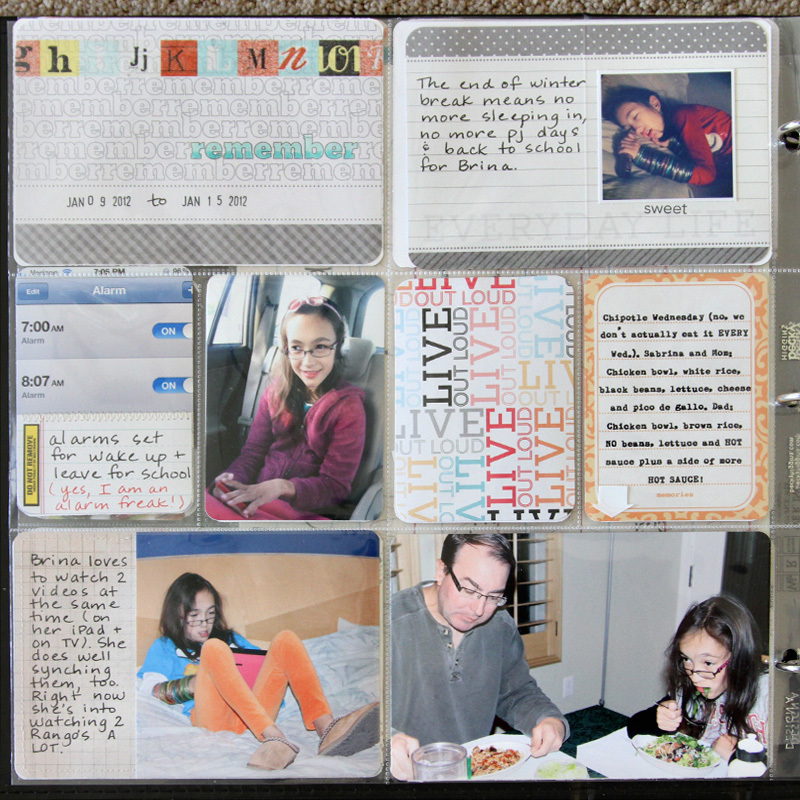 For the left side, I used elements from the Clementine core kit (title, filler and journaling cards). For my title card, I accidentally dropped a black ink pad on top of it, so I added the strip of alphabet tape along the top to hide most of it. I colored one of the "remember" words with Copic markers so that it would stand out a little more and added the dates. This week was a perfectly ordinary week for us, which is the whole point to Project Life. Not every photo has to represent a monumental event. Yet, together, they represent a week in our life. 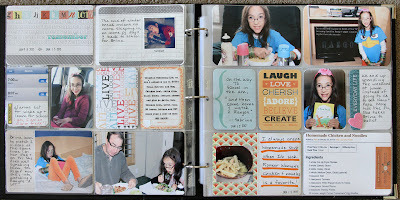 On page 2, there's more from the Clementine core kit, plus some scraps. I included a quote from Sabrina and the pink heart sticker is from ballet class. 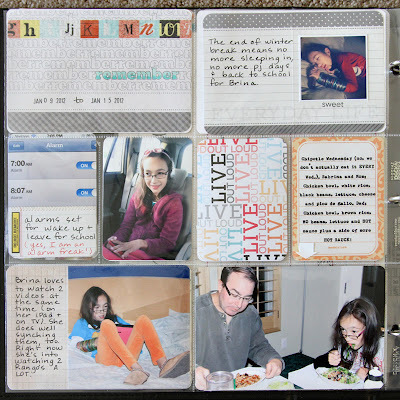 Note: Project Life is a simplified way to document everyday life and was created by Becky Higgins. 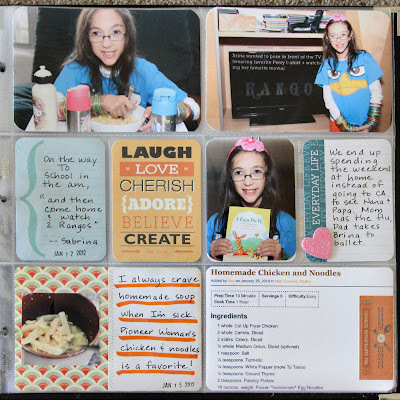 I am using the Clementine and Cobalt core kits as well as some items from my stash (Elle's Studio tags, Ali Edwards for Technique Tuesday stamps, etc.). I mainly use the Design A Photo Pocket Pages, but I also add inserts when there is more that I want to document in the week. loook at you! looove how this is coming together. great JOB! This is AWESOME Steph! Maybe next year I will finally be able to do this! !